This lecture will present the Information Centric Networking paradigm, a radically new networking paradigm for the future internet, which is being a hot topic in networking and future internet research fields. 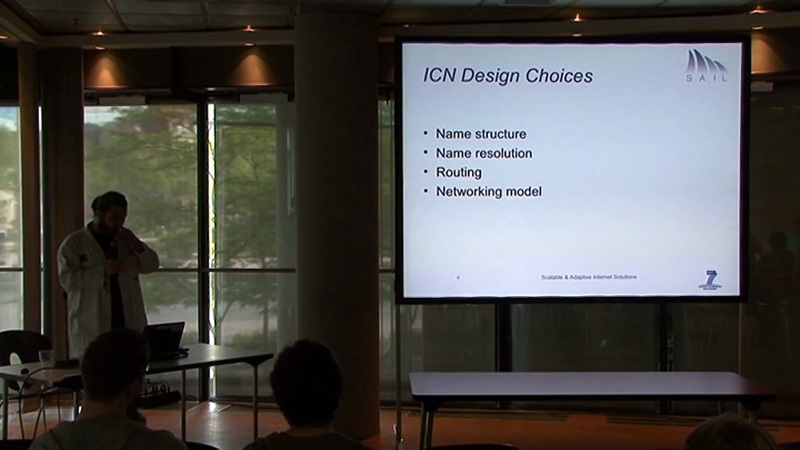 In Information Centric Networking, the focus is on information objects, and not on the way those object are obtained, overcoming the obstacles of connection oriented networks (like the internet), e.g. delay tolerance is achievable out of the box. Objects self-certification and self-authentication are obviously key elements of the paradigm. This lecture focuses on the security, privacy and censorship aspects of Information Centric Networking.